Sri Lanka has avoided all the dark warnings of coups and political tumult — for the time being. Former health minister and one-time ally Maitripala Sirisena easily defeated two-term incumbent Mahinda Rajapaksa, who called a presidential election two years early. Hoping to take advantage of a scattered opposition, Rajapaksa believed he would slide to an easy reelection to a third six-year term. Instead, Sirisena, the general secretary of Rajapaksa’s own party, the Sri Lanka Freedom Party (SLFP, ශ්‍රී ලංකා නිදහස් පක්ෂය), promptly resigned as Rajapaksa’s minister and led 25 SLFP members of the Sri Lankan parliament into the opposition coalition, upending what Rajapaksa thought would be a cakewalk. Despite the fact that, like Rajapaksa, Sirisena comes from the country’s Sinhalese majority and practices Buddhism, he won significant support from Tamil-speaking Moors (who practice Islam) and Tamils (who practice Hinduism). 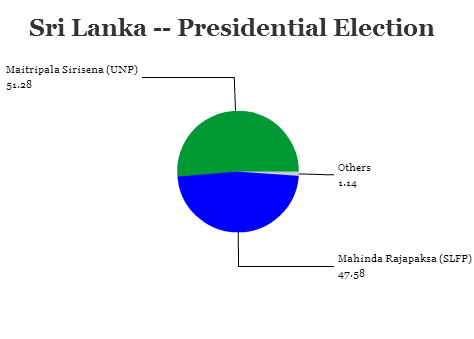 That, in tandem with the support of a significant set of elites and Sinhalese voters who had soured on Rajapaksa’s decade-long rule, was enough to deliver to him 51.28% of the vote, versus just 47.58% for Rajapaksa. 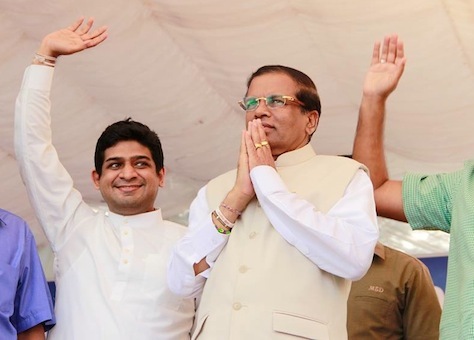 In the space of six weeks, Sirisena has gone from the general secretary of the SLFP and top minister in the Rajapksa government to the president-elect and head of the titular coalition led by the opposition United National Party (UNP, එක්සත් ජාතික පක්ෂය), which traditional draws more support from Tamil-speaking minorities and which also embraces a more free-market liberal and center-right ideological persuasion. Despite ominous warnings that Rajapaksa would deploy the military if he lost the election, the incumbent stepped down and moved out of the presidential palace, Temple Trees, immediately, paving the way for what could be a surprisingly easy and peaceful transfer of power for a country where elections and politics often collide in violence. 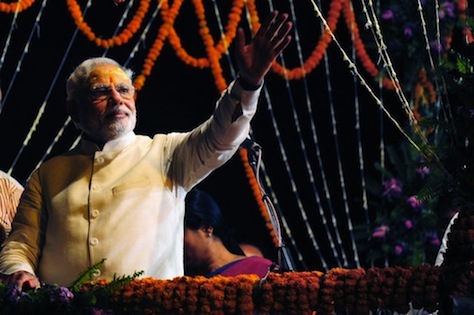 While Sirisena is the clearest winner of Thursday’s vote, Indian prime minister Narendra Modi is nearly as much of a winner. That’s because Sirisena is expected to strengthen ties with India at the expense of the People’s Republic of China. Increasingly, Rajapaksa looked to Beijing, not New Delhi, for international support, including billions in soft loans from the Chinese government, which in turn looked to Sri Lanka as its foothold in south Asia and the Indian Ocean. No longer. Sirisena has pledged to cancel several Chinese development projects that had become increasingly controversial. Photo credit to Malayalam Daily News. 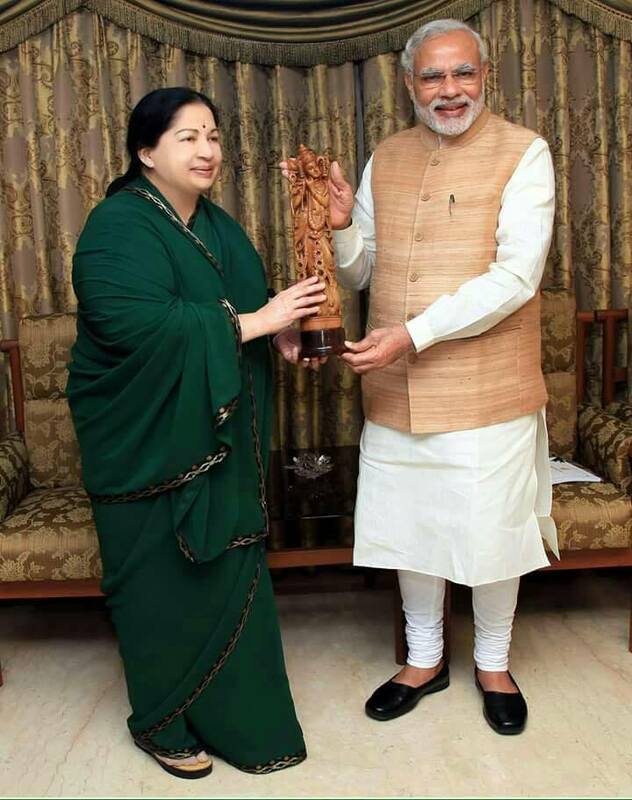 It says something about the strength of India’s democracy that a regional leader who controls the third-largest bloc of MPs in the Lok Sabha (लोक सभा), the lower house of the Indian parliament, and who has developed something of a personality cult as chief minister of her home state of Tamil Nadu, can fall from power broker to convicted felon in the blink of an eye. 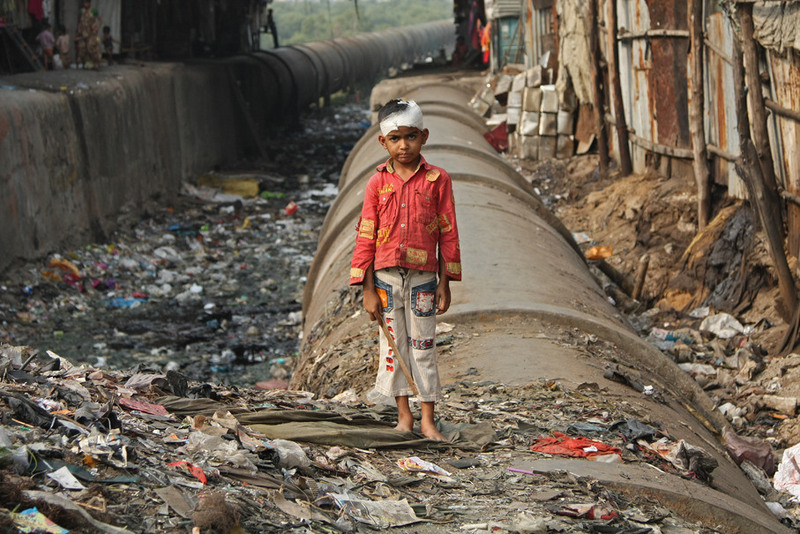 With over 72 million people, Tamil Nadu is the sixth-most populous in India, and it has a population equivalent to Turkey’s. 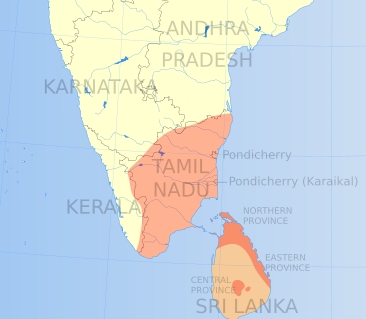 Its Tamil-speaking population also makes it unique among India’s states as a key cultural link with Sri Lanka, the island nation to India’s southeast. 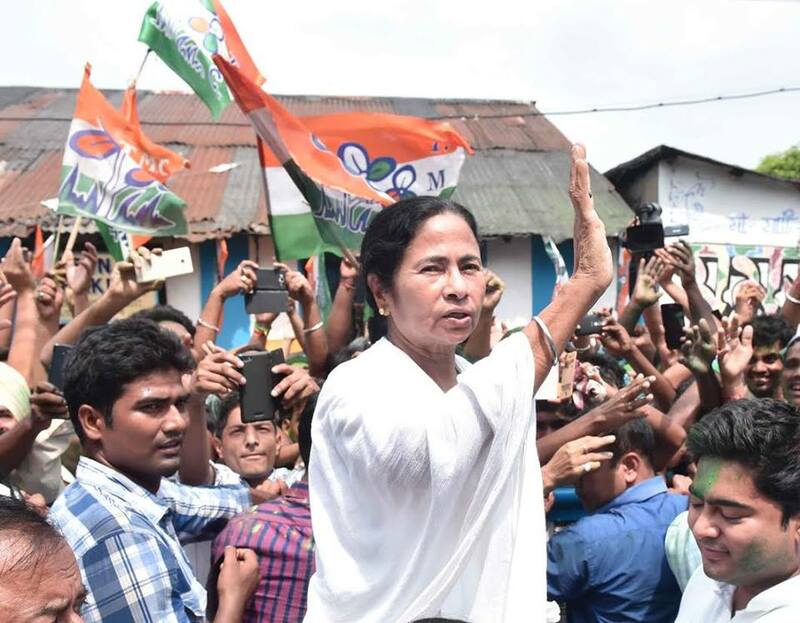 In the most recent national elections in April and May 2014, her party won 37 out of 39 constituencies in the state of Tamil Nadu, a rare performance in withstanding the electoral wave that brought prime minister Narendra Modi’s Hindu nationalist Bharatiya Janata Party (the BJP, भारतीय जनता पार्टी) its biggest mandate, by far in Indian history. But on Saturday, Jayalalithaa’s luck ran out when a Karnataka-based court sentenced her to a four-year jail term in a corruption case that resulted, suddenly, in her demotion from office. 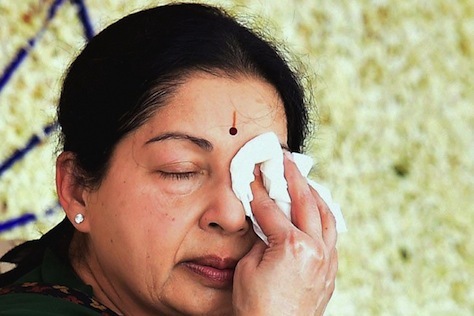 The court found Jayalalithaa guilty in a ‘disproportionate assets’ case, essentially convicting her for illegally obtaining up to 530 million rupees (around $8.7 million) in unexplained income. That forced her to step down immediately as chief minister and report to prison, though she’ll have an opportunity to appeal the verdict. She is now the first sitting chief minister to be found guilty of corruption charges. 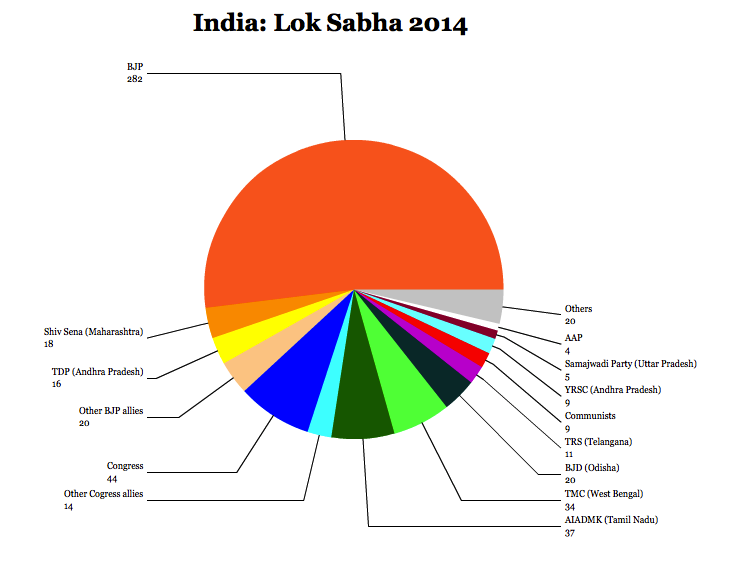 If the conviction holds, it will be a rare victory for anti-corruption reformers in India. 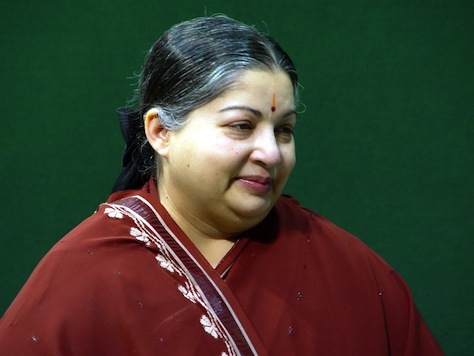 Among the strongest regional politicians, few are as powerful or as popular as Jayalalithaa. That give the case national importance. If the Indian judiciary can hold to account someone like Jayalalithaa, whose face plasters billboards, subsidized food halls and even bottled water in Tamil Nadu, no one in India can credibly believe that she (or he) is above the law. It’s a powerful precedent, and it’s a sign to global investors of the growing strength of Indian legal institutions.